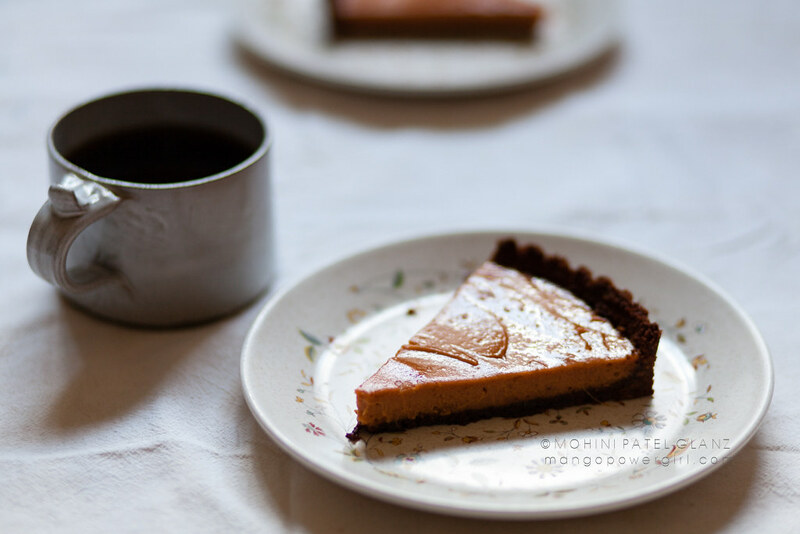 I’m calling this my #ThanksObamaBiden Pie ~ my new recipe for a Sweet Potato Tart with Gingersnap crust. You can never have too much pie! The perfect addition to your Thanksgiving meal or as an alternative to pumpkin pie. 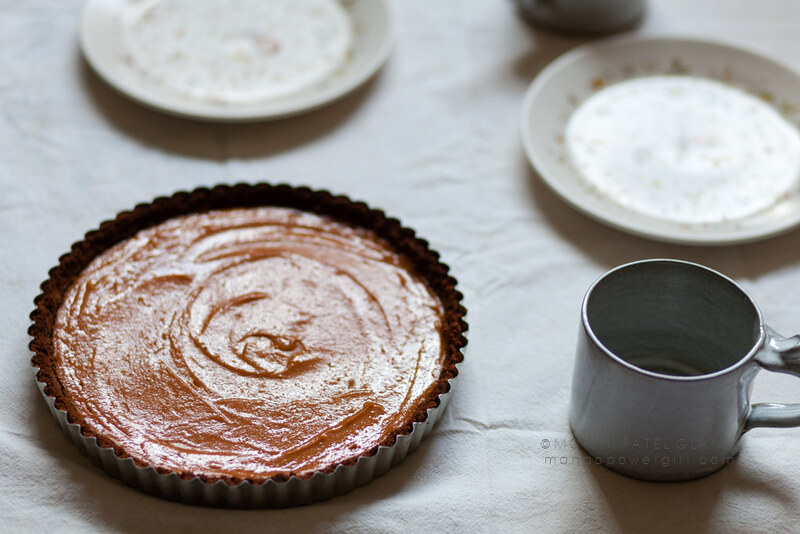 A sweet potato tart makes the perfect alternative to pumpkin pie, or just a delicious addition to your Thanksgiving menu — especially if President Obama is coming to dinner — our president famously loves a sweet potato pie! My recipe uses a food processor to do all the prep work and has a quick-to-prepare cookie crust. Gingersnaps add bite to the crust and complement the spices in the filling. Using freshly boiled sweet potatoes instead of canned or roasted sweet potatoes will produce a brilliant orange color. In a food processor, pulse broken pieces of gingersnaps till they are very fine. Add the melted butter and pulse some more, to mix. Press the crumb mixture down in your tart pan. Press it evenly against the sides and bottom, using a flat-edged cup or bowl. Freeze the tart shell for 10 minutes. Put the tart pan on a cookie sheet and bake the shell for 6-8 minutes, or until it comes together. Don’t let it get too dark. Remove the tart pan from the oven and let it cool completely. In the food processor, purée the sweet potato into a smooth pulp and add the rest of the filling ingredients; pulse to combine. Pour the filling into the cooled gingersnap crust. Bake the filled tart on a cookie sheet for about 30 minutes, or until the filling is set. If the tart edges start to burn before it is set, lightly cover the edges with foil. Cool the tart completely at room temperature, before refrigerating for 2-3 hours or overnight. 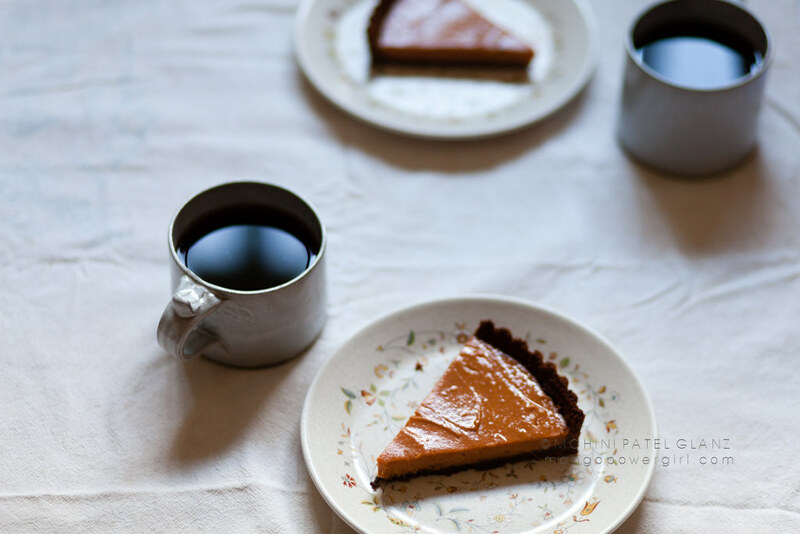 Remove the tart ring, slice the Sweet Potato Tart, and serve cold with whipped cream and tea or coffee. Yield: 8 slices of pie. For another pumpkin pie alternative, try an Indian-inspired Kabocha Pie.